Ready, Set, Go! Hundreds and Hundreds and Hundreds More New Songs and Artists Have Been Added to the Pure Pop Radio Playlist. Let the Tunes Play! So here’s the scoop: We’ve been adding new music to the Pure Pop Radio playlist for the last couple of months–all sorts of melodic pop from new and heritage artists; songs with sent-from-heaven hooks and harmonies that are pretty much guaranteed to put a big smile on your face. Let’s get right down to it. Here are just some of the new songs and artists now playing in rotation on Pure Pop Radio. This is but a quick sprinkle of what we have in store for your ears. You’ll be reading about all of our recent adds to the playlist over the next few weeks. Sit back, relax, and start singing along. 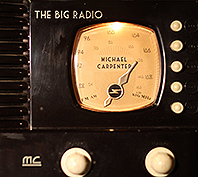 Michael Carpenter | The Big Radio To say that Aussie Michael Carpenter has been a major force in helping to shape the sound of melodic pop music would be barely scratching the surface of the run of his estimable achievements. 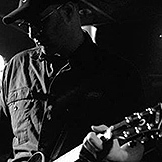 Michael’s first album, released by Not Lame in 1999, was called Baby; it featured a dozen songs that, like a well-orchestrated fireworks display in the summer sky, showed how it was done if one wanted to do it well. Sixteen years later, The Big Radio, an explosive, musical fireworks display, an all-consuming expression of passion fueled by skill and a keen sense of purpose, is here and nothing, really, has changed. Which is the kind of good news one wants when hitting the play button on what will surely wind up being one of the best power pop albums of the year–power being the operative word. It’s impossible to not feel the electricity in every note of The Big Radio’s opening salvo, the vigilant, energized, take-no-prisoners number, “Don’t Open that Door,” which announces itself with a flip-flopping, upside-and-then-down rolling drum call-to-arms that feeds directly into a classically-styled, electric guitar-fueled blast of melodic wonder and manages to pack a half-hour’s punch into just over three minutes of playing time. These 14 songs, from the propulsive, runaway train that is “I’ve Been Lovin’ You,” to the catchy, medium tempo nugget, “The Little Blue Box,” and “Too Late,” a rubbery, determined, slowish burner of a rocker sliced and diced with Keith Richards-y electric guitar flourishes, The Big Radio is nothing less than exactly what you would expect to get when Michael Carpenter shows up at your door with a new album. Turn ‘er up and let your power pop flag fly. It’s a pleasure and a privilege to welcome Michael Carpenter back. Andy Reed | Relay Vol. 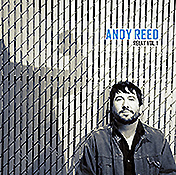 1 Andy Reed, multi-instrumentalist, singer-songwriter, recording artist, producer, engineer and yeah, probably that too, steps out from behind his An American Underdog moniker for five songs worth of pretty near perfect pop. Coupling four originals (one written with Donny Brown, whose songs are playing in rotation here on Pure Pop Radio) with a lovely cover of Sloan’s “I Love a Long Goodbye,” the master music craftsman produces pure delights aplenty. The first focus track, an insanely catchy, melodic gem, “Dreaming of the West Coast,” is but one of the wonders on offer; the gorgeous ballad, “Love is Gone,” marries a luscious melody to a beautiful, fluid chord structure. We’re playing the songs mentioned here, plus “Waves” and “Darlin’, You Don’t Know.” Absolutely essential listening, and we can’t wait for more. Duncan Faure | 4 For more than four decades, from Rabbitt to the Bay City Rollers and through to his solo career, Duncan Faure has been a popular tunesmith and a master of the pop song. 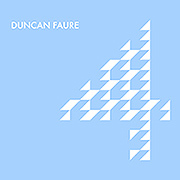 It’s only fitting that Duncan’s latest release is titled 4. We’re playing the following songs in rotation, all catchy, joyous and full of life: “Back to the Day,” “Lies and Promises,” and “The Day that I Found Love.” The mark of a great pop song is how strong the pull is to hit the repeat button and play it again. Guess how strong the pull is here. Paul Starling | The Wild Wolf According to his blog, Paul Starling is a left-handed bass and guitar player and a right-handed drummer (make of that what you will), whose favorite male singer is Paul McCartney (which guarantees him an invitation to Thanksgiving dinner) and whose favorite food is clam chowder (which is apropos of nothing but interesting nonetheless). He is also a member of Anchor and Bear, a quite wonderful group whose album, Ahoy!, is currently playing in rotation on Pure Pop Radio. 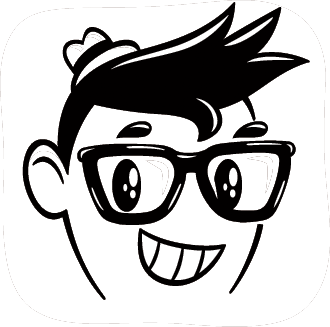 What’s more, he curates, using his real name, Brian Bringelson, a fine and quite dandy deejay show called Needle Meets Vinyl, which airs here on Wednesday nights at 8 pm ET. 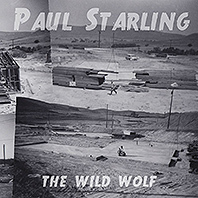 All dressed up in his Paul Starling clothes, this talented artist is currently watching his latest long player, The Wild Wolf, climb to the top of the pops. Well, we certainly love it here at Pure Pop Radio. We love not only the music, which is quite catchy and full of hooks and heart, but also the lyrics, every set of them creatively poised to listeners to ponder. Consider the title song, for example, as near as we can tell the story of a lover who takes, doesn’t give back and slinks off into the night without regret. Plus, she may be less than the sum of her parts: “She’s been kissing all the boys without a raincoat/Seems her reasons lack the water, sink and won’t float.” Another of our favorites, the vaguely mid-1960s-flavored stomper, “Tarantula,” about a love affair pulling apart from itself, also makes the grade with us. In addition to the two aforementioned songs, we’re also playing the rest of the album in rotation: “Boots,” “Seance,” “Endless Waiting,” “Midnight Turns Into Day,” “Seven,” “Middle of Darkness,” “Waiting,” “Broken Bones,” “EP Foster,” and “Giving Up the Ghost.” We love them all, and we bet you will too. Well, it’s time to get back to work. We’ll be reporting on more of the new music added to the Pure Pop Radio playlist throughout the next few weeks. We’ve added hundreds and hundreds more of the finest melodic pop songs being crafted and released by the top recording artists you know and love. Keep listening to Pure Pop Radio; simply click on one of the listen links below and sing along if you know the words. This entry was posted in new songs added to the pure pop radio playlist and tagged alan haber, andy reed, duncan faure, michael carpenter, new music added to the pure pop radio playlist, paul starling, pure pop radio, reviews, streamlicensing. Bookmark the permalink. Extremely Mega-Cool Mystery Musician Guests on Next Wednesday’s All-New Pure Pop Radio: In Conversation. Who Can It Be, Now?